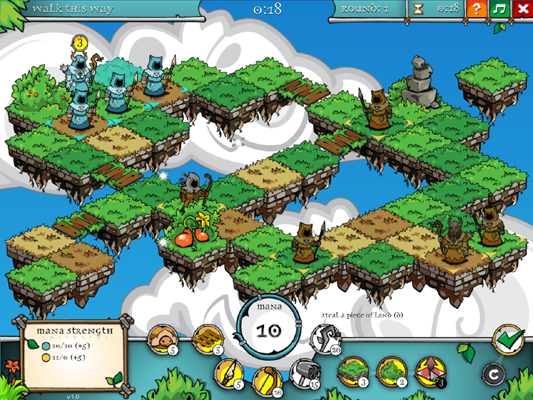 A Druid’s Duel is a turn-based strategy game and bills itself as taking place in a whimsical world of Celtic lore. It is developed by Thoughtshelter Games, a small indie team based out of Minneapolis. Gameplay is fast-paced, easy to learn, and hard to master. Despite all that, the game is designed with casual and lighthearted gameplay in mind. 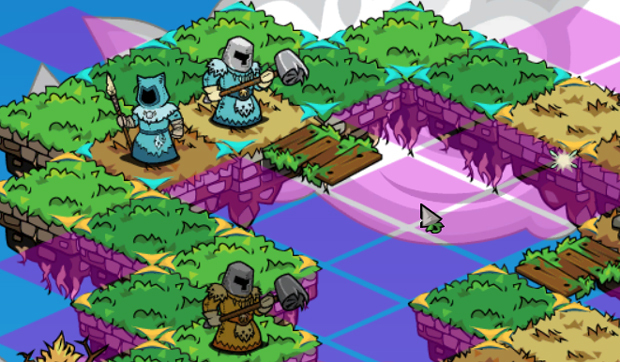 Back in April of 2014, A Druid’s Duel received $7,700 in funding from a Kickstarter campaign and came to fruition when it launched on Steam last Wednesday. Customization doesn’t quite apply when it comes to A Druid’s Duel. 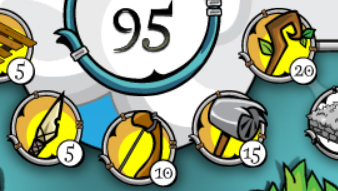 There is some, in that you can unlock certain avatars. But really, it’s not a primary feature of the game so you probably won’t see much of it. And that’s OK, it’s still a fun game without a ton of customization options. I’m satisfied with what options are available. 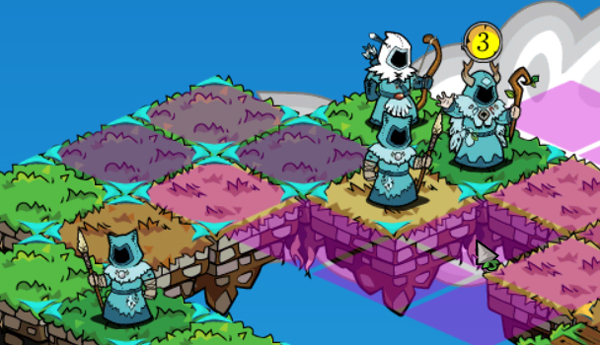 The graphics style chosen for Druid’s Duel is what will bring in a lot of players. It’s cartoon-y and definitely has a whimsical nature to it. The design of the Druids remind me a lot of the Wizards from Magicka. The rest of the graphics have a lighthearted simplicity to them that make them a joy to look at. I think the game looks absolutely superb. The game is played with the mouse. This means things are fairly simple – everything you need is right on the UI and is just a click away. No learning hot keys and whatnot. Everything was responsive, and I actually like the design of the UI a great deal – it fits well with the rest of the graphics and works as smooth as you could hope for a UI to work. 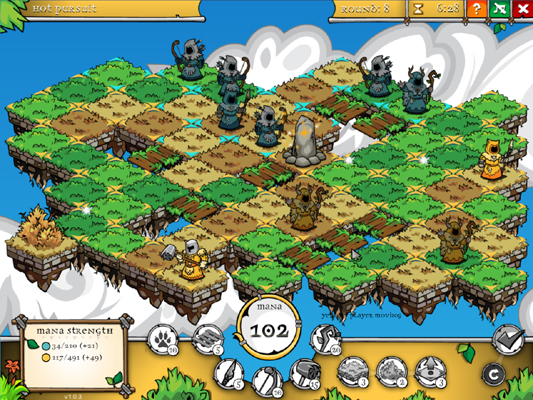 While A Druid’s Duel has an extensive single player campaign, there are also some online features such as a ranking system. If you’re a competitive sort, this will add a mountain of replayability to the game. I didn’t find much of a community yet as most of my playtime was before the game launched in mid-February. As the game seems to be primarily aimed at casual play, I’m not sure how strong the community will be. On the other hand, this is the type of gameplay that is addictive so I wouldn’t be surprised if there isn’t at least a strong cult following once the game gains some traction. Also worth mentioning is the ability to play asynchronous games. 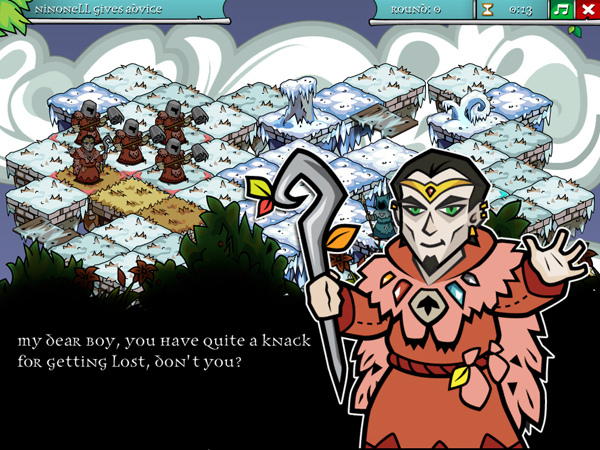 A Druid’s Duel feels a lot like a (very) modern version of Chess or Weiqi, in some ways. Very similar to Chess, the game is easy to pick up but it’s something you could spend a life-time mastering if you wanted and the game community lasted that long. There is no randomness or guess-work in the game – there is a simple and straight forward set of rules to follow and play the game by. Don’t mistake that for meaning there is no strategy involved, as there is a lot of it. The campaign actually does a fantastic job of slowly introducing you to the game by revealing new strategies and tactics as you progress. 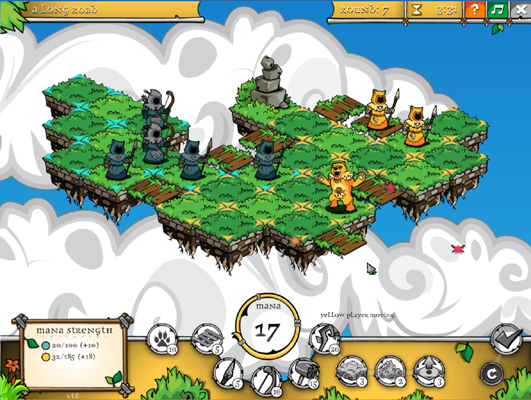 The basic premise of the game is that of druids “dueling” with one another. You do this by summoning units – of which there are four – each with their own abilities. Each unit is capable of a different type of movement or play as well as an animal transformation. For example, the most basic unit is the Guardian, and it can move one tile per turn, attack in melee range, or turn into a wolf that can move multiple times in a single turn but cannot attack. Each unit has a cost – ranging from five mana for the Guardian to twenty mana for the Waywalker. 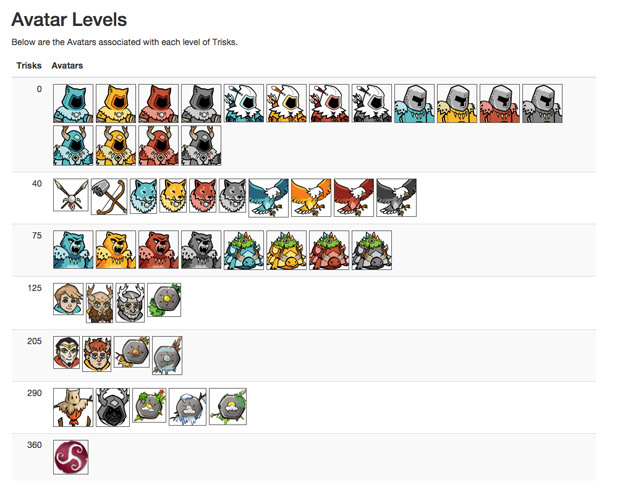 The four units are: The Guardian, which I already mentioned. The Wind Rider, who is an archer that can transform into a bird and kill units in a wide range. The Snarlclaw that can do melee attacks, but can also turn into a bear that can move or attack up to three times in a move. Last there is the Waywalker, which is essentially a wizard who can’t directly attack, but can create or destroy obstacles and tiles using mana. The Waywalker can also move up to three times in a turn and transform into a tortoise for temporary protection. Games aren’t limited to simple one-versus-one matches. 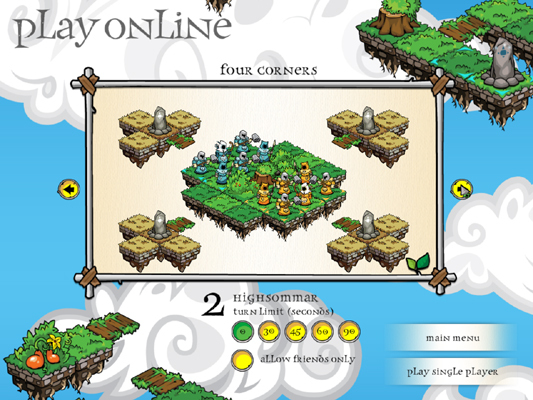 I believe the maximum is four players at the same time. There are a myriad of maps to play on, each varying widely from the others. This keeps things interesting, but I personally prefer going head to head against a single opponent. That’s just how I feel, though. Speaking of maps, the way they start out at the beginning of the match is not how they will be at the end of the match. As I said when describing the units, the Waywalker can create and destroy tiles. It can also create and destroy obstacles. You are also able to create a bridge tile for five mana at any time. As you might imagine, this makes the game quite interesting and each match a bit different no matter the map. 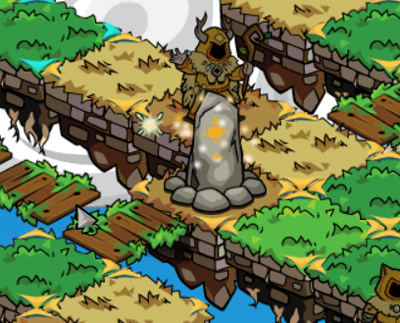 There are various objects that can be present on the map – such as shrubs, “mana pillars,” little floating fairy things that give mana if you ‘catch’ them… It provides a bit of spice to the game and objectives for you to fight over for control. Most of them center around providing extra mana (which is key in this game, in most cases), but some also are a great way to keep Guardians at bay. Obstacles have limited use though, as most every other unit besides Guardians have a way to get past them. The overall goal of the match is to completely remove all of your enemy’s territory from the map. Until you’ve captured every square your opponent claimed, the match will go on. There feels like a very clear progression to each match. You start out relying on your Guardians to claim land and increase your mana generation, then you move onto using Wind Riders for long range attacks and even defense. Snarlclaws and Waywalker tend to make an appearance later on in the match. However, as you play, you’ll probably begin to experiment with different strategies than the “default” you learn during the tutorial and that process of trial and error is quite fulfilling. Each piece of territory you have under your control will gain your more mana per turn. 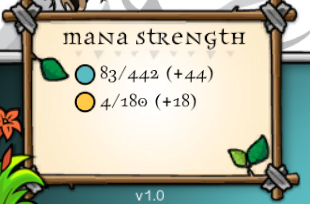 The more mana you have, the more you can do per turn. This includes summoning more units or allowing your Waywalker’s to create more land (which is a great way to ‘safely’ increase your territory). While you’re playing, your goal will be to reduce the amount of mana your opponent has at his disposal while increasing your own mana at the same time. It’s key to balance your attempts at expanding your territory with actually keeping your opponent at bay; if you’re not careful you may find that you’ve got a nice sized territory and then instantly lose it because you didn’t take enough precautions to stave off attacks from your opponent. A Druid’s Duel really surprised me. I hadn’t hear much about the game prior to trying it out, and I wasn’t sure if it would be able to capture my interest. Yet, I found myself spending a lot of time in the game – especially on the single player campaign which I found a lot of fun. Like I’ve said a few times, the game is easy to learn but offers enough potential for new strategies and tactics to evolve, something a lot of turn-based strategy players will appreciate. Overall, I found A Druid’s Duel to be a fantastic game and wouldn’t hesitate to suggest the game to any of my friends. It’s now available on Steam, or can be bought from their official website. Features: 4/5 – Interesting features that made sense for the type of game it is. Customization: 3/5 – Some interesting customization options, but they aren’t immediately apparent. Still more could be done to set yourself apart. Graphics: 4/5 – Almost perfect. I loved the art style and the game looks great. Controls: 5/5 – No issues, no suggestions for improvement. Community: 3/5 – It needs to grow. Overall: 4/5 – Definitely check this game out!